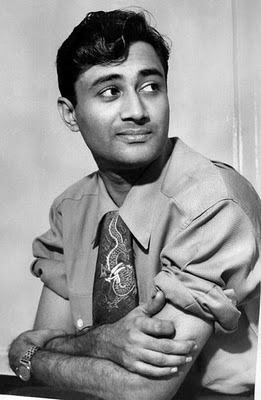 And then there was one... Dev Anand passed away earlier this week at the age of 88. 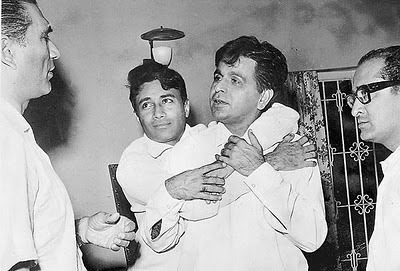 That left left Dilip Kumar as the only surviving member of the original "Big Three" leading heroes of Bollywood (the third member, Raj Kapoor, passed away in 1988). Dev got his big break after being spotted hanging around the Bombay Talkies studio by Ashok Kumar who recommended him for the 1948 film 'Ziddi'. Dilip Kumar may have been considered the better thespian and Raj Kapoor may have been the greater showman but Dev Anand was a genius in his own right. 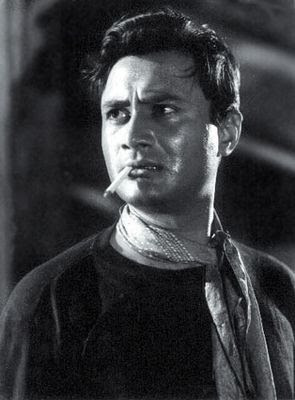 Just one year after his debut film, he launched Navketan Films as his own production house and got none other than the legendary Guru Dutt to direct it's first offering - 'Baazi' in 1949. That movie literally made him an overnight star and he never looked back continuing to act, direct and produce prolifically for the next six decades. His critics often dismissed him as playing the same character in every role but his fans didn't care and rewarded him with hit after hit for his penchant to create memorable and endearing characters (sound familiar SRK?). He unabashedly copied Gregory Peck in regards to his acting and wardrobe but later became known for a style all his own. His attention to detail when picking hats and scarves as well as slightly tilting his head while delivering dialogue were just a few of the reasons audiences returned time and time again to see his films. But it was his movie 'Guide' that cemented his fame worldwide. He was responsible for the discovery of both Zeenat Aman and Tina Munim who both remember him fondly and even Hollywood luminary Shekhar Kapur wrote about Dev Anand's unshakeable optimism in regards to his art as well as his life. Fortunately, in the world of Indian cinema, not only are we left with the movies to remember Dev Anand but we also have the countless hit songs which were penned by some of the greatest composers of the time. Indeed, even though his popularity waned in the late 70's after he refused to acquiesce to age and give up leading man roles - the songs from his films were never absent from the annual Binaca Geetmala Top 10 Countdown. If you are in the Atlanta area and would like to go to a free event on 12/9/11 celebrating Dev Anand's legacy, details can be found here. And finally our song for today from the 1970 film 'Prem Pujari'... Phoolon Ke Rang Se is sung by Kishore Kumar (who was the preferred singer for Devsaab) and it's score was composed by S.D. Burman. The music and lyrics make it a love song for the ages but in classic Dev Anand style he is singing to no one in particular and to everyone as well - all at the same time. He was one of the first Bollywood stars to film many of his movies in Switzerland and the below video is an early charming blend of his vision of both East & West. Excellent legacy. "Tere Mere Sapne..."